Scientists have identified various factors which increase the risk of Alzheimer’s. These include age, family history, heredity changes and other risk factors. Age is a prominent risk factor as the risk is higher in old people. Family history also increases the risk if more than one family member has the illness. Down’s syndrome is one associated risk factor. 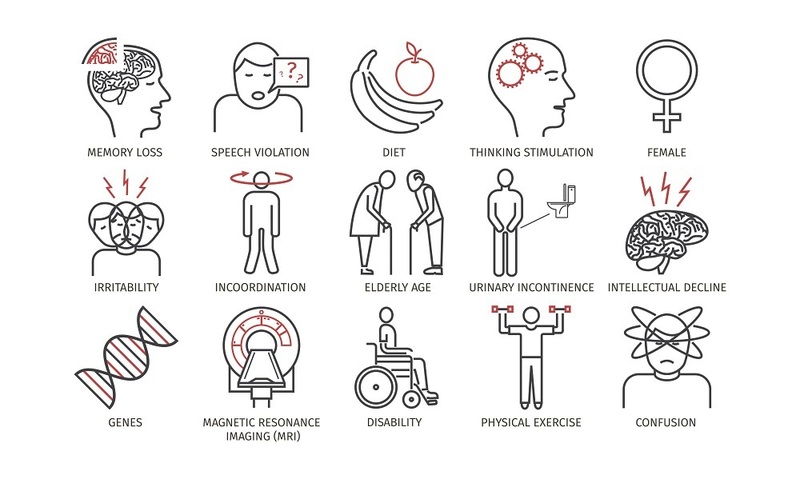 Some environment or lifestyle related risk factors also increase the chances of Alzheimer’s disease such as smoking, high cholesterol, high blood pressure, major head injury, etc. 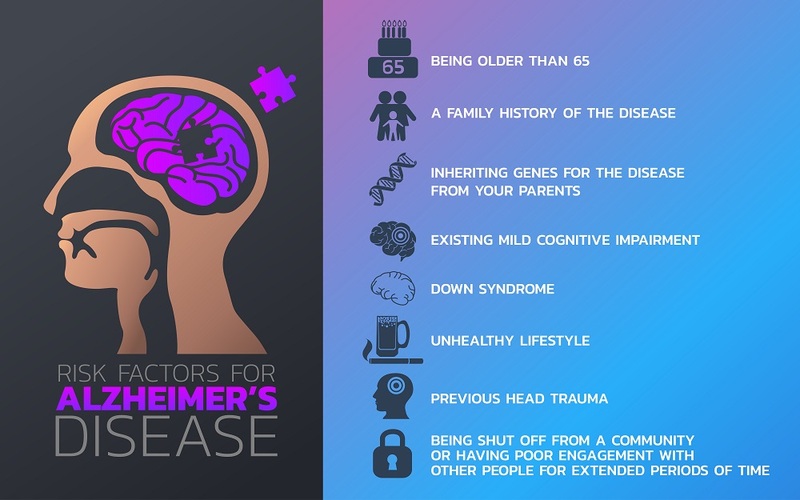 The infographic shows basic details about Alzheimer's disease such as Alzheimer's disease and dementia symptoms and their treatment. Alzheimer’s disease is a progressive brain disorder that gradually destroys memory and thinking skills and the ability to carry out tasks. Common symptoms of Alzheimer’s disease are loss of memory, lack of interest, decrease in written or verbal communication ability, etc. 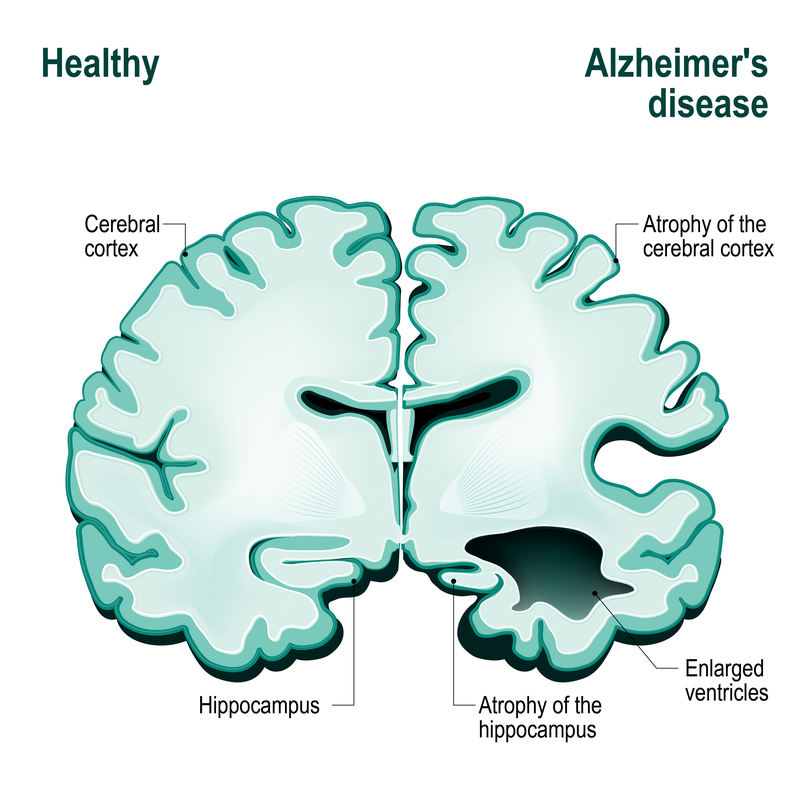 Alzheimer’ disease is age related or may occur due to family history or genetics. There is no exact cure for Alzheimer’s disease but only the symptoms can be managed with treatment options. This is a cross-sectional view of a brain. The image shows various regions of the brain, such as basal ganglia, hypothalamus, amygdala and hippocampus. The brain is composed of cerebrum, cerebellum, and brainstem. Cerebrum, also called the cortex, functions to control of movement such as touch, interprets vision and hearing, as well as speech, reasoning, emotions, learning. Cerebellum’s function is to coordinate muscle movements, maintain posture, and balance. Brain stem has automatic functions such as breathing, heart rate, body temperature, wake and sleep cycles, digestion, sneezing, coughing, vomiting, and swallowing. 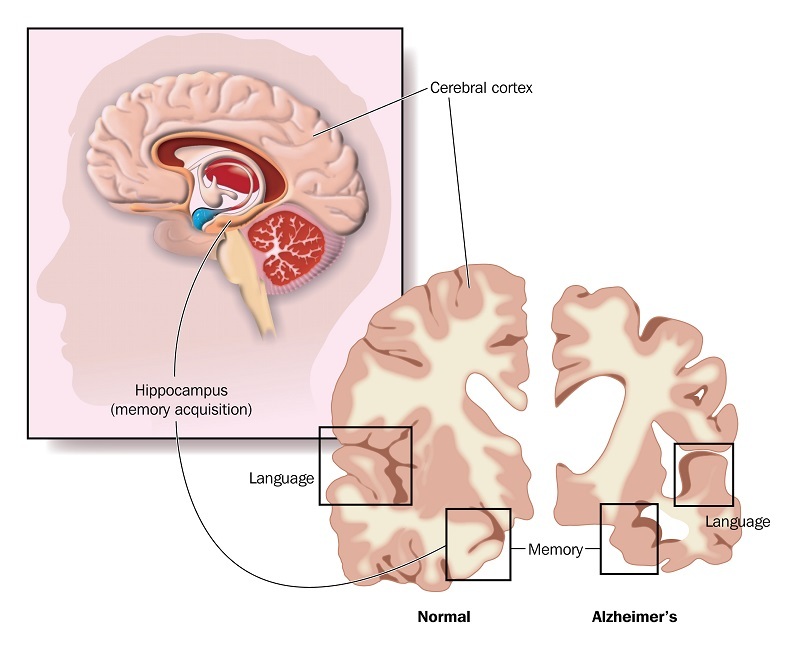 In Alzheimer's disease, damage to the brain starts generally about a decade or more before memory and other cognitive problems appear as visible symptoms. Brain is a three-pound organ which controls all functions of the body. The surface of the cerebrum is called the cortex. It has a folded appearance with hills and valleys. 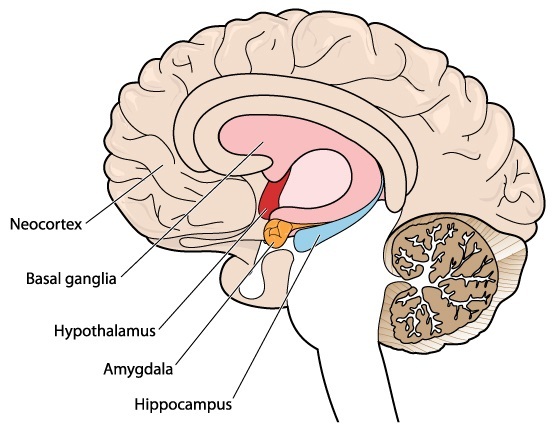 The long-term memory is processed in the hippocampus region of the temporal lobe. Alzheimer's involves a major damage to the cerebral cortex and hippocampus region. Initially, the hippocampus begins to damage. As the neurons die, additional parts of the brain get affected, and they begin to shrink. By the final stage of Alzheimer’s, damage becomes widespread, and brain tissue has shrunk significantly. 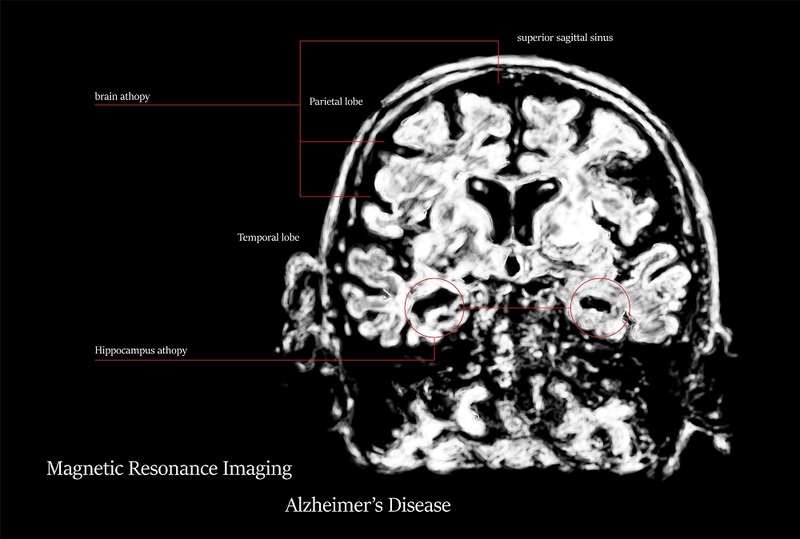 Magnetic resonance imaging (MRI), a type of brain scan, is an important part of the standard evaluation for Alzheimer's disease and for other forms of dementia. A radiologist compares the size and distributions of the bright and dark areas to determine whether a tissue is healthy or not. 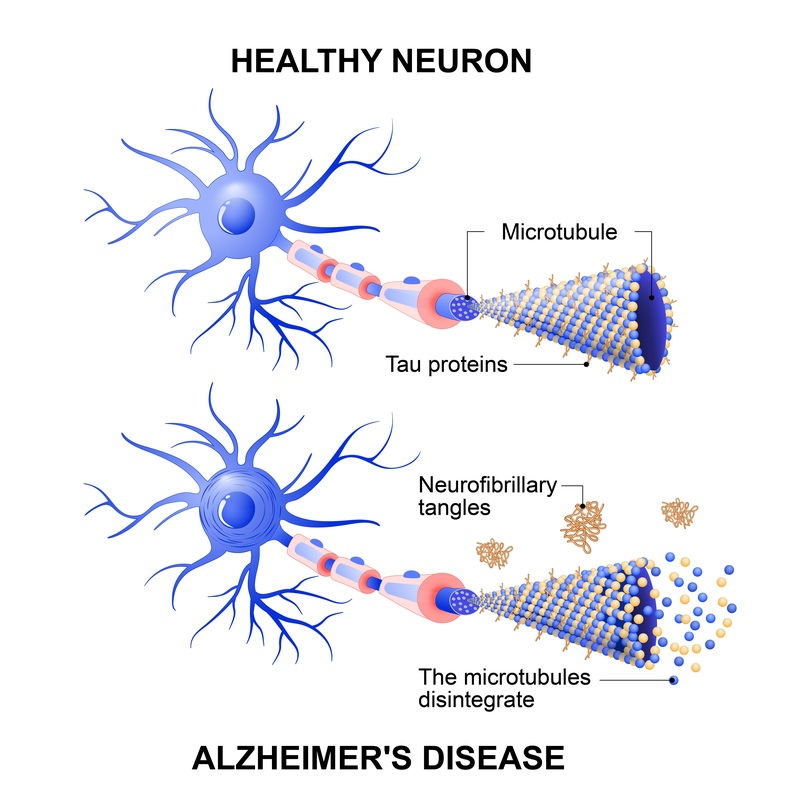 Alzheimer's disease involves a change in tau protein structure that results in breakdown of microtubules in the brain cells. This damage slowly leads to degradation of brain tissue, thereby affecting several brain functions. 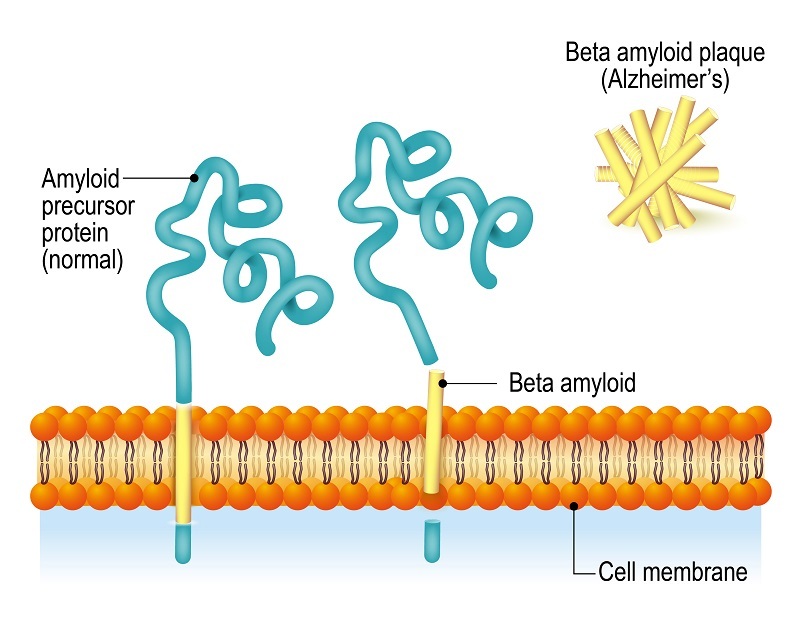 The neurounal cell membrane contains amyloid precursor proteins (APP) and beta amyloid. APP is digested by several enzymes and gets accumulated in the extracellular space of the brain. This proteins gets aggreagated to form amyloid plaques which effects the neuronal and synaptic function, ultimately leading to neuronal death. 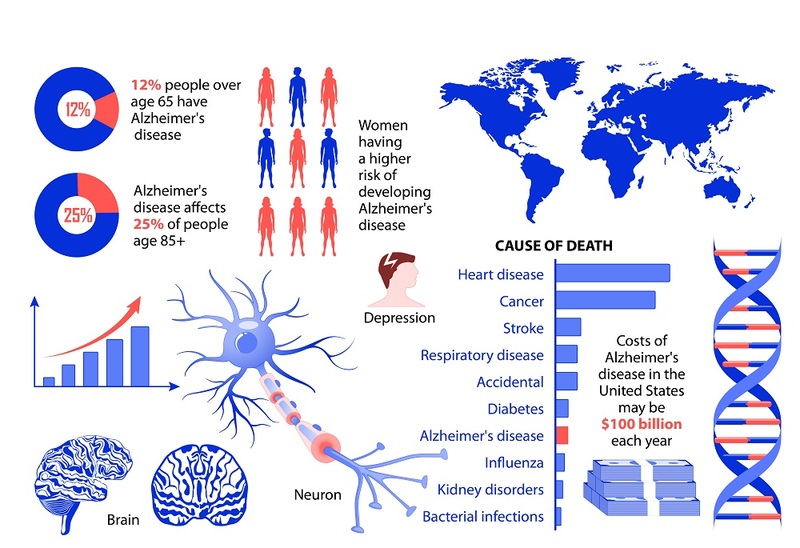 There are approximately 44 million people worldwide living with Alzheimer’s disease. In the U.S., an estimated 5.5 million people of all age groups suffer from Alzheimer. Around 5.3 million are 65 years old and 200,000 are younger. The main processes where degradation of the brain occurs include neurons and neuropil. In neurons, the level of expression of many genes involved in communication changes. In neuropil, reduction in the number of synapses and the strength of synaptic connections occurs.